Damon Williams and Daniel Kisslinger aren’t your typical radio hosts. They’re not limited to an ivory tower of fancy microphones, cushy seats and high-tech soundboards. The duo exists outside of their WHPK radio station, living and breathing a mission to meld the realms of artistry and activism. That’s why they created AirGo Radio, a live talk show on 88.5 FM where they interview prominent figures in the community who have a foot in both worlds. At the time of this interview, Williams and Kisslinger, both members of the Let Us Breathe collective, were gearing up for their 100th episode. After initially meeting at Grinnell College, and going their separate ways after graduation, the two reunited again in Chicago in the midst of social and creative movements. 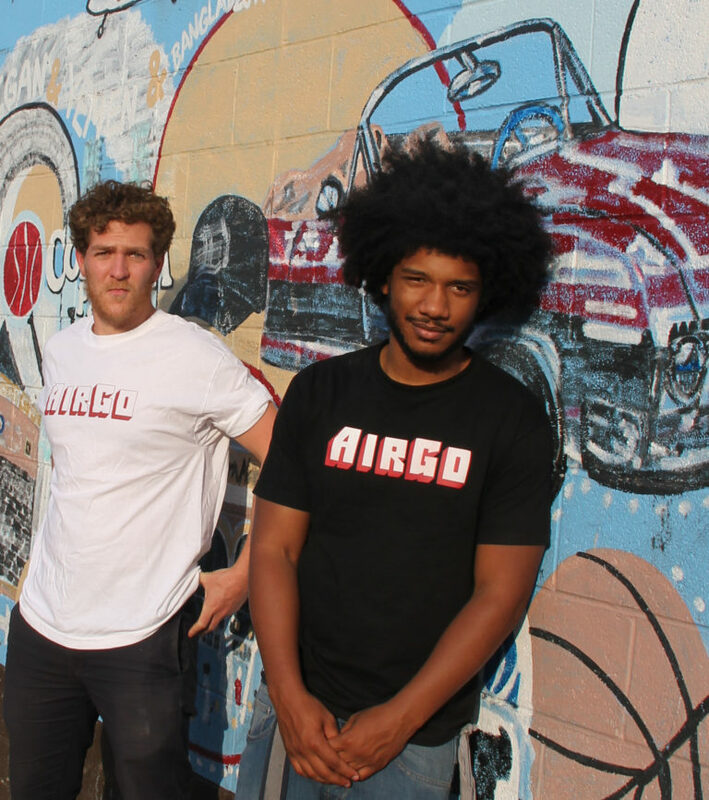 With Kisslinger wanting to get back into radio after hosting a college show, and Williams seeking a home for his art and passion to spark change, they launched AirGo Radio in 2015. The premise of the show is building community through humanizing conversations with artists and visionaries. Among the people they’ve interviewed are Jamila Woods, poet and recent performer at Pitchfork Music Festival, Terrence Thompson, whose latest film, Drive Slow, recently premiered through the Chicago Track program, and LaSaia Wade, a leader of the trans liberation movement in Chicago. According to Williams and Kisslinger, it’s important for people to be able to look back at the beginnings of such work to appreciate and value its place in today’s world. “Politically or artistically, some or all of these people are going to be historical figures because of the work they’re doing,” Williams says. Studs Terkel is another one of AirGo’s influences. Terkel worked Chicago’s WFMT for 45 years, interviewing literary greats like James Baldwin. He also wrote Working, a book in which he talks to people of different social classes in Chicago about the relationship between their work and their labor. “I think about what [Terkel] did as an art form and a humanizing form of organizing people to rethink the ways our city and our culture work,” Kisslinger says. AirGo strives to follow in these traditions, giving the everyday voice a space to breathe. So often, the leaders of movements and the outspoken activists of today are only known through their campaigns and social media. On AirGo, they become human. “The more we can humanize that space, then the more we can humanize all of the other things that we’re fighting for,” Williams says about protection against police brutality, equal pay, and a better education system. As AirGo marches on, Kisslinger and Williams hope the show becomes a digital archive of sorts; a living document of the social and political climate we live in. AirGo airs every Thursday at 12 PM central on WHPK 88.5 FM. Be sure to listen here!